This new format, crafted specifically for younger readers, features the original Tintin graphic novel plus brand-new content. 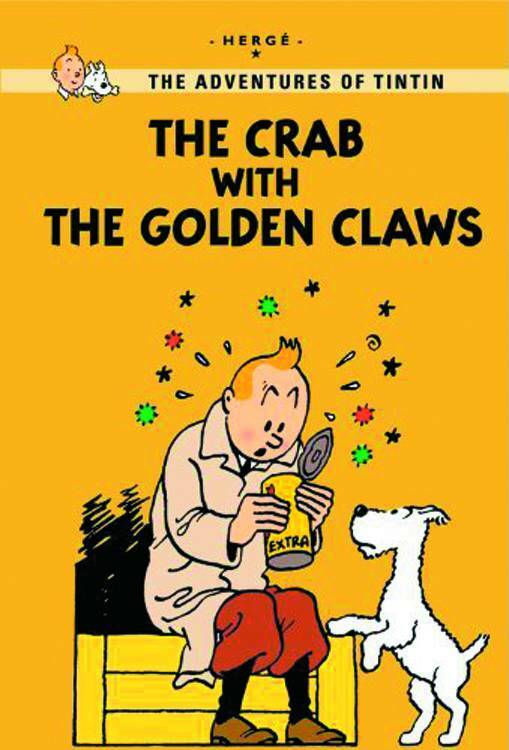 A can of crab meat turns out to be a small clue to a big mystery when Tintin is taken prisoner by criminals! He meets Captain Haddock in his escape and his plan to track down the crooks takes him to a foreign desert city. His captors want to keep Tintin from exposing their crimes, but Tintin adopts a clever disguise - will he stop the felons before they find him?